Pippin drink for a consumption Take the thick paring of six pip- =pins boil them in 3 pints of spring water to a quart. then sweeten it with sugar-candy. 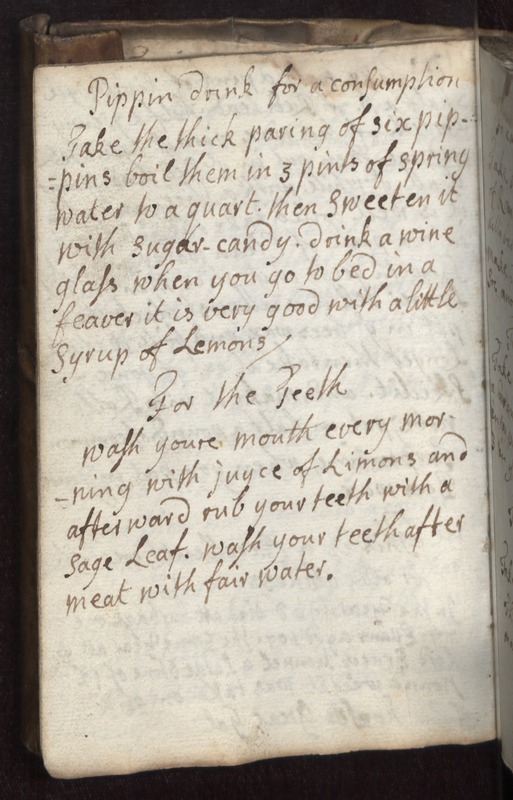 drink a wine glass when you go to bed in a feaver it is very good with a little syrup of Lemons For the teeth wash youre mouth every mor- -ning with juyce of Limons and afterward rub your teeth with a sage Leaf. wash your teeth after meat with fair water.